Learn the essential details Switch players need to start exploring Darkest Dungeon. 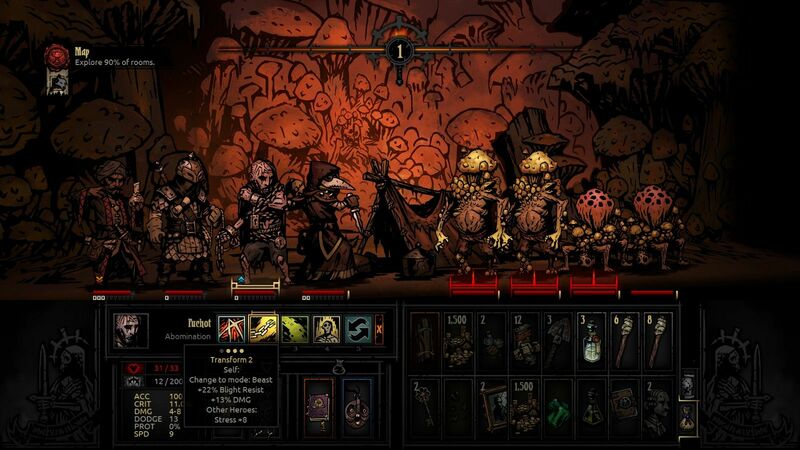 Red Hook Studios' Darkest Dungeon has landed on the Nintendo Switch, giving console players and portable fans alike an all-new outlet for the game's signature stress-based and increasingly-challenging battles. Darkest Dungeon is not a forgiving game, nor is it exactly welcoming to newcomers. Fortunately, there are a few tips that players just now picking up the Nintendo Switch version of Red Hook Studios' dungeon crawler should keep in mind to more smoothly adjust to Darkest Dungeon's grim adventuring. 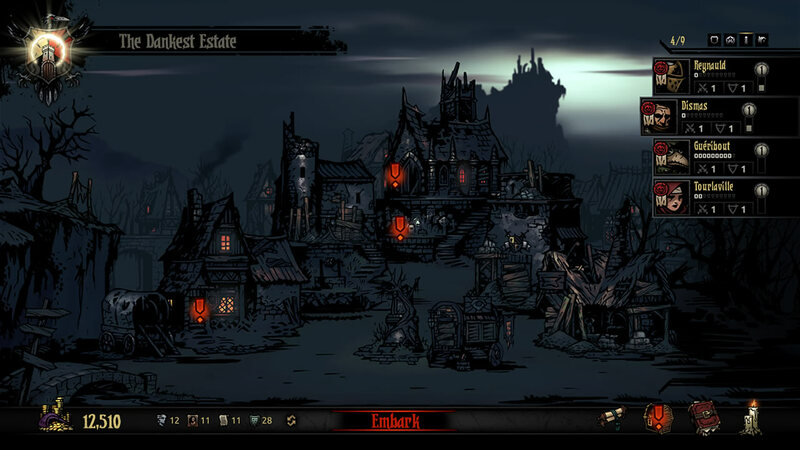 The bulk of Darkest Dungeon's gameplay will see players diving into the horrors that await the old manor. Within those walls, lurking monsters of a macabre variety will oppose any forward progress, and players must push their party members to the limits to see just how far they can make it. The opening scenes of the game make for an introductory trial of sorts, with players taking out a few low-level enemies and getting used to different attacks, effective ranges, and other battle attributes that are mostly self-explanatory. Once they're through this first area, they'll have a little bit of money in their pockets, and they'll find themselves at the nearby town of Hamlet with a bunch of locations that are so-far blocked off. For the time being, there's really not much to see before venturing off once again. Before setting off, though, players need to make one particular stop at the Stage Coach. Here, there will be two new warriors that players can recruit, likely a Vestal and a Plague Doctor. Recruit them both, then spend any available money on upgrading the Stage Coach Network, which will ensure that there will be a higher number of recruits awaiting the player's return. After recruiting some new blood, players will also want to make sure they're well-stocked on provisions. Before they embark, players will have a chance to snag up some essential supplies, and for this first run, they'll want to make sure they have two items: Food and Torches. Food is essential to keep adventurers alive, whereas Torches are essential for keeping adventurers sane and relatively-stress free. Torches are one of the most important items in Darkest Dungeon, and players will want to keep plenty of them on hand at all times. When the light gets dim, monsters get more aggressive, and heroes begin to feel the effects of their stress and their individual quirks. Fortunately, keeping light levels high is simple — just activate the Torches using the inventory menu on the bottom-right of the screen. The first trip through the ruins won't be particularly difficult, especially not with a few new party members around. Be sure to adjust each recruit's position on the battlefield — those with ranged attacks, like the Plague Doctor and the Vestal, are better sticking to the back of the pack, whereas heavy hitters like the Crusader should stay up front. Enemies use this logic, too, keeping some of their more powerful support characters at the back, so be sure to try to take those fiends out first. Beyond recruiting and equipping adventurers, players will want to remember that their party members aren't always worth holding on to. Through time, different recruits will come up with different quirks, many of them being detrimental to their utility. This happens to all characters, and some quirks are significantly worse than others, meaning its not always a good idea to hold on to old faithful companions. This concept should stay in players minds, particularly in the beginning of the game when making mistakes isn't such a big deal. Sometimes ranged attackers will acquire quirks that affect their accuracy, or melee attackers will suffer from reduced melee damage — these are the types that are worth losing. Don't worry, there will be plenty of opportunities to find new recruits without so many obvious problems. Beyond this, players should simply experiment to see what they like. 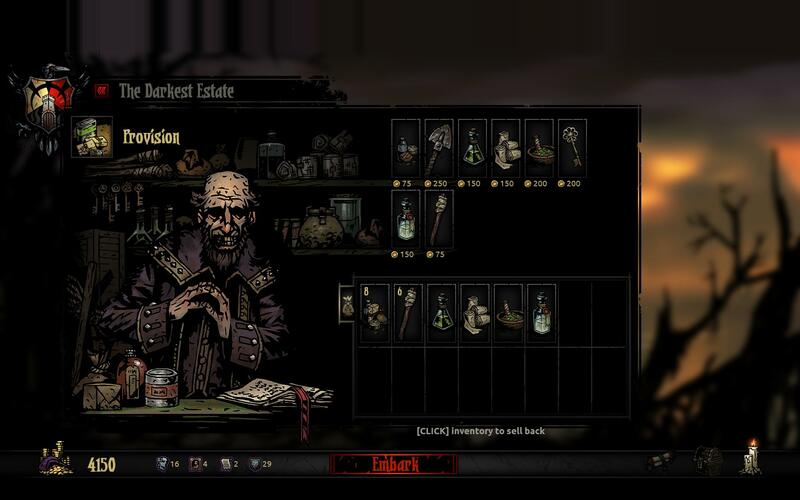 Darkest Dungeon is about risk versus reward, after all, and sad as it may be, some adventurers are simply expendable, and letting those weaklings meet their fate is all in the name of the game.